One that has an opening introduction or premise, a ‘lay of the land’ if you like. Then, a challenging situation arises or is uncovered. A solution is considered next that would resolve the situation. There are a few ‘bumps’ along the way, resulting in the solution being further refined and aligned to resolving the challenge (the suspense is up and the reader leans in). Finally, after its successful implementation, a positive outcome is achieved. It keeps us on the edge of our seats! 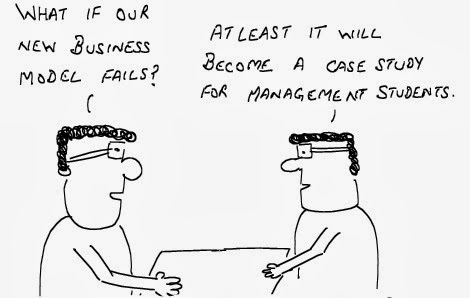 Business Cases / White Papers / Case Studies should also follow along these lines. Whatever you call them they provide a story, a narrative, to prospective customers revealing how the problem(s) were successfully solved by the Vendor. By being able to fully explain the potential Client’s challenge, the Vendor demonstrates that they are skilled in Discoveries. There is a reason that Detective Columbo is the “Patron Saint of Sales People”. There is always just ‘one more thing’. To fully understand the potential’s Client’s issue(s), no stone should be left unturned because the presenting challenge could just be the tip of the iceberg and signal systemic issues in other areas of their organization. Now that the stage has been set, the story of how their prospective Client’s challenges were resolved can commence. This is where the backdrop of the solution is detailed, the steps involved and, most importantly, the reasons behind ‘why’ a particular solution was recommended. Read on to see how the solution was aligned and customized to the challenge, and how it was implemented. Finally, the outcome / results are detailed. What was achieved? More efficient internal communications? An improved HR or Purchasing process? Reduced wait times in the Customer Service Queue? Was the ROI achieved? If the Methodology is followed correctly, then it really does read like a ‘story’; a narrative about how a particular Client’s challenges were revealed, qualified, addressed and resolved. If you or your Sales Team currently do not adhere to a Sales Methodology and would like to revisit your approach, consider outsourcing this strategy to a company with experience gained from working within multiple industries and can coach your Sales People on how to effectively utilize a Sales Methodology that uses YOUR stories as part of your New Business Development strategy!